Catch the vision of the Heartwood Homestead. Contribute to the future of the Heartwood Homestead. What is the Heartwood Homestead? The Heartwood Homestead is the new location for Africa Heartwood Project’s (AHP) headquarters in Liberia, West Africa. Our work at the Homestead will include the Heartwood Orphan Home, Village Water Projects, Sustainable Livelihoods for Cultural Artisans, and mico-lending. Financial sustainability will come in the form of the Heartwood Beach Retreat social enterprise and the Heartwood Cultual Arts Center, also located within the Homestead. In 2010 we secured a beautiful 10 acre plot of beach-front and river-front property that has been brushed and cleared and prepared for construction and cultivation. A water system has been installed, two buildings have been constructed, and agricultural and fish production has begun. We need your help to continue the development of the campus. Individual donations of any amount are gratefully received, and building sponsorships are also available. Self-funded volunteers with a trade background are encouraged to apply (room and board provided). Read below for details about budgets and sponsorships available. Establishment of the Heartwood Cultural Arts Center where international Drum & Dance camps are held and Africa Heartwood Project brand drums and instruments are produced for sell within Liberia and internationally. Heartwood Orphan Home Site Plan: The campus is laid out with providing the best possible care for children in mind, creating small neighborhoods and family-like units where children, staff, and volunteers live in common. Mini-homes (O1-O4) will house up to 10 children with a matron. Staff homes (S1-S4) can be either self-contained or include a wing for orphan children. Volunteer housing (VF1-VF2, VS1-VS2) for students as well as expatriate families, and director housing (D1-D2), is designed to be simple yet comfortable. Each neighborhood will share a common hygiene facility (H1-H5)with composting toilets, showers, and laundry and washing stations. The Community Center (C1-C6) will house offices, a health clinic, computer lab, kitchen and pantry, and a large multi-purpose hall. The Water System (W) is a hand-dug well with hand pump and solar-powered submersible pump with storage tower and gravity distribution lines. Throughout the campus there will be gardens, chicken coops, grey water bioswales, and ornamental vegetation among meandering walkways the create privacy as well as aesthetic appeal (AG, LS, CI, DI, RE, T1), and a natural vegetation perimeter to secure the border. Buildings are designed and oriented for maximum natural ventilation and lighting, and to limit exposure to sun and rain. Construction Sponsorship and Fundraising: We invite donations of any amount to help fund the building of the Heartwood Orphan Home campus. We particularly encourage communities, businesses, and foundations to sponsor complete structures, which will be dedicated as a legacy to the donor. The Homestead is an off-grid community that incorporates principles of sustainability, self-reliance, and permaculture: Human waste and grey water will be managed and recycled on-site; sewing, soap making, and baking programs will provide clothing and hygiene items; most food will be grown on the land or harvested from the ocean and the river; water will come from solar powered wells with gravity distribution; solar power will provide for most energy needs; all staff, children, and volunteers will live in common within the community, taking all meals together, sharing chores, and caring for gardens and animals and each other. October 2012 – AHP purchased new site for the Heartwood Homestead in Liberia and also leased several houses as a temporary location for the Heartwood Orphan Home. 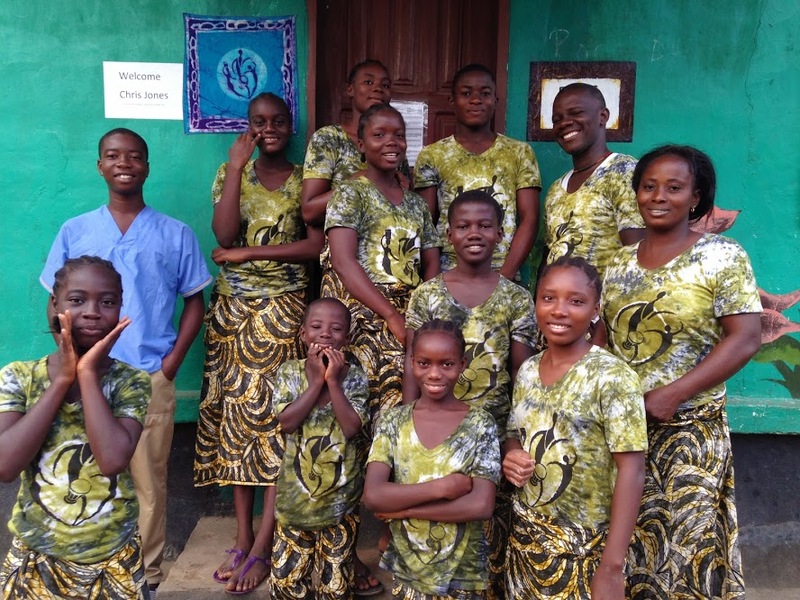 September 2013 – The Heartwood Halfway House in Brewersville, Liberia was opened for our orphans age 18+ to prepare to live independently after high school graduation.